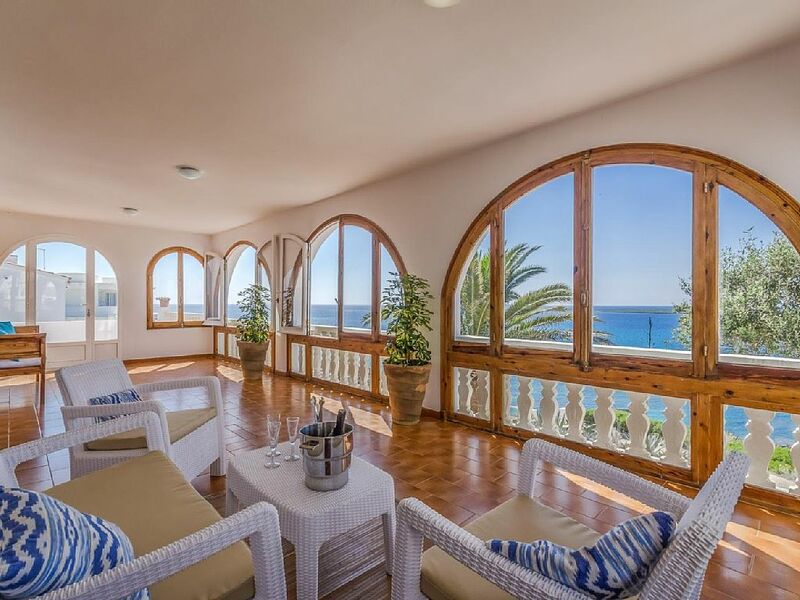 A classic mediterranean summer villa, recently refurbished. 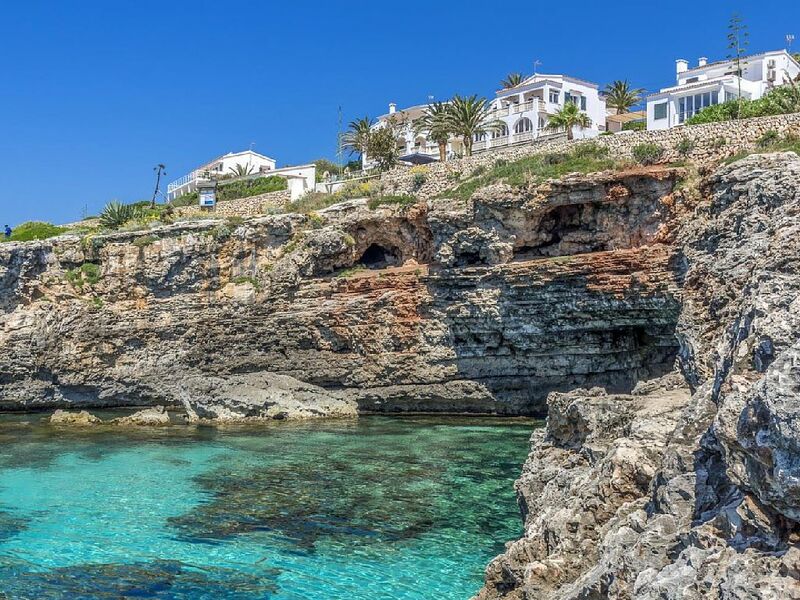 It sits front line, over the cliff above the well known swimming spot called the cave, the villa is located on a high standing and is in a quite neighbourhood. The garden with ancient palm trees makes you feel like you're in the tropics and from the terraces there are some fantastic panoramics views. Punta Prima has all the facilities you need, from ATM to restaurants and supermarkets, a waterpark and a white sandy beach. 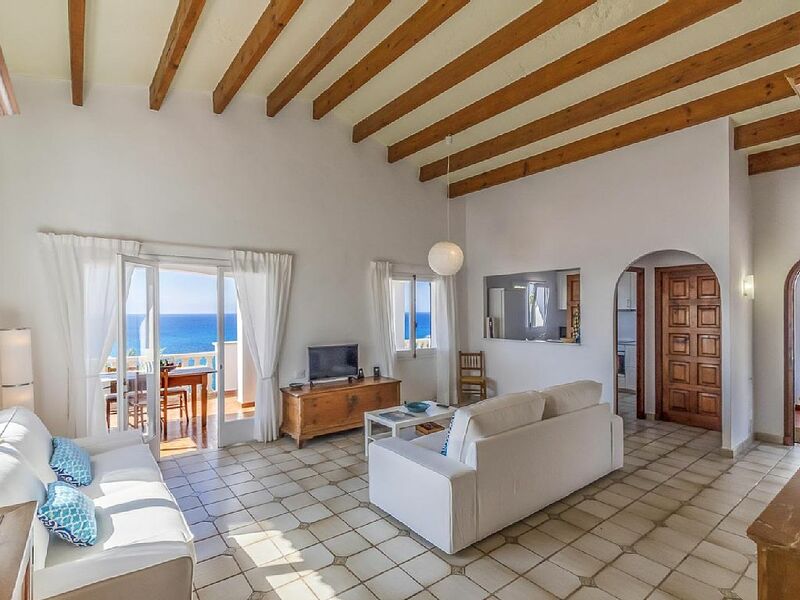 The villa has TV, wi-fi, air-conditioning and towels and linen are provide. 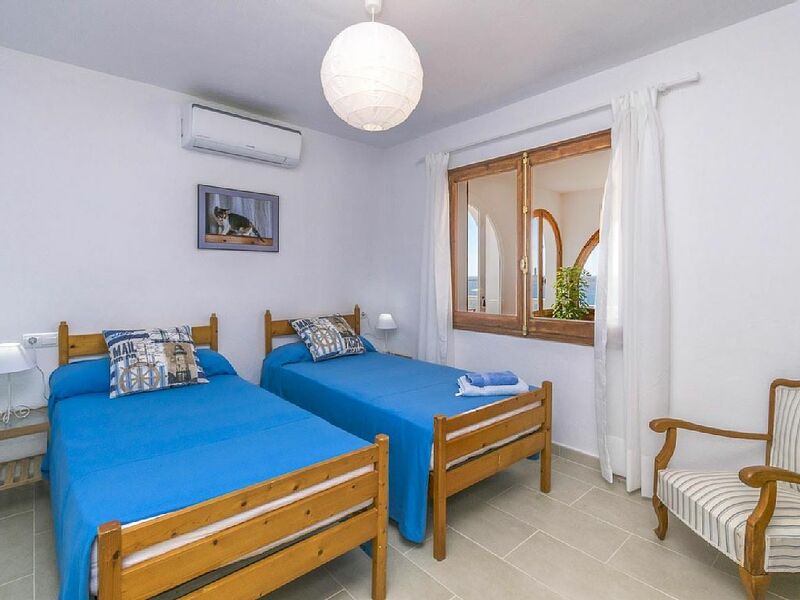 There are three bedrooms, one of which has a double bed and two have twin beds. There are two shower rooms and an additional w/c. 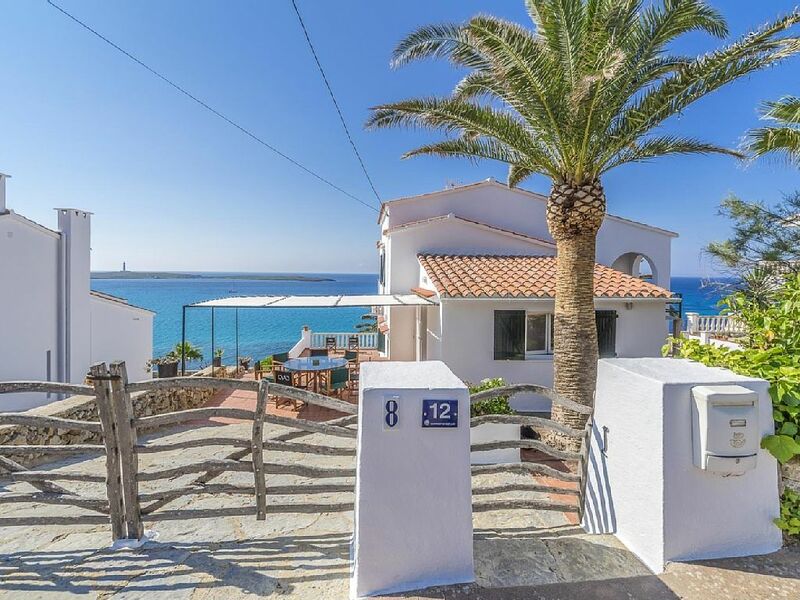 Best location possible on the island if you are looking for sun, blue water, peace... the villa is very authentic and very comfortable villa with a total of seven terraces. You can enjoy the family beach at a walking distance of the villa. 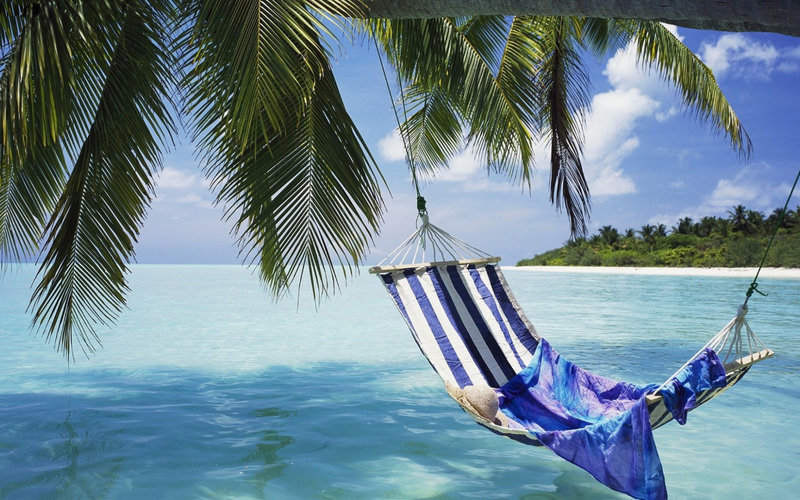 You would enjoy an amazing view from the terrace. You can swim and dive just in front of the villa. 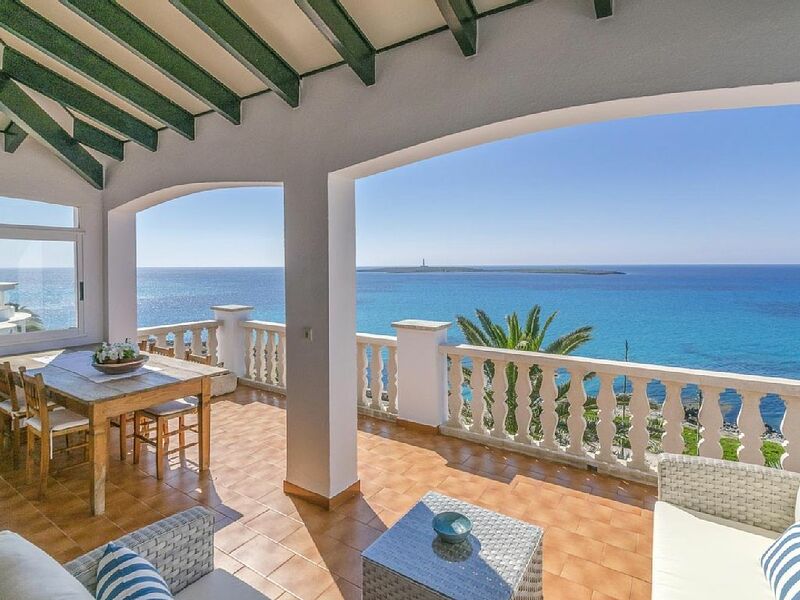 If you like the sun, beach, good food, tranquility, nature, outdoor activities, Punta Prima is one of the best locations to choose in Menorca.